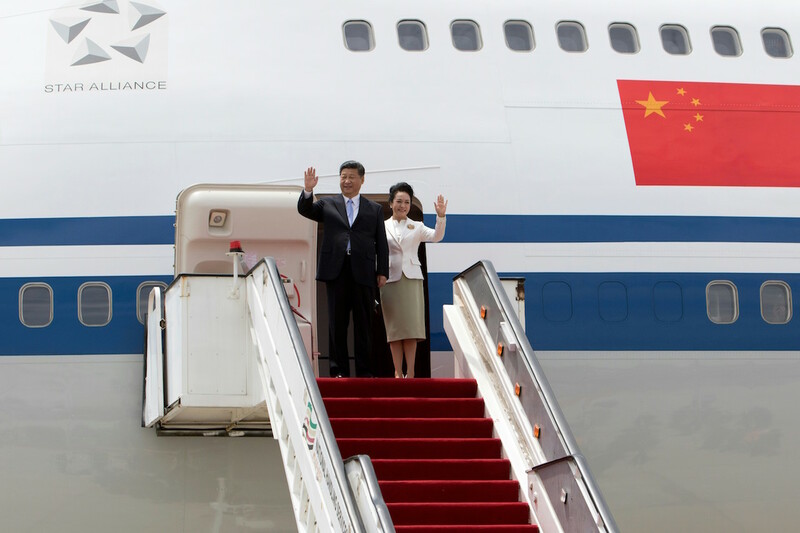 China's President Xi Jinping (L) and his wife Peng Liyuan wave upon arrival in Harare, Zimbabwe on December 1, 2015 for a rare visit. The election of Donald Trump has introduced a new era of uncertainty in global politics, especially in Africa where the U.S. president-elect has said nothing about his foreign policy agenda for the continent. Not surprisingly, Trump’s unpredictable, provocative style is sparking widespread concern across the continent as to whether the United States plans to remain engaged in Africa. China, by comparison, is moving in the opposite direction. Beijing’s New Year’s announcement to finally outlaw its domestic ivory trade, although long overdue, was widely praised as an important step in the struggle to save Africa’s embattled elephant population. Also in January, China’s foreign minister, Wang Yi, will make his customary first overseas trip of the year that always begins in Africa where he will visit five countries. All of this is set amid the backdrop of surging Chinese investment in Africa as part of President Xi Jinping’s 2015 $60 billion for five years financial package and the rollout of China’s ambitious global trading strategy known as “One Belt, One Road,” which passes through a number of countries in Northeast Africa where the Chinese are now spending billions of dollars to build out new civilian and military infrastructure. Janet Eom, Research Manager at the China Africa Research Initiative at Johns Hopkins University, has been closely following the presidential campaign and the run-up to Donald Trump’s inauguration with an eye on how it will all impact Sino-African relations. Janet joins Eric and Cobus to discuss what’s ahead in U.S.-China-Africa relations.